Toxicology testing evaluates the direct impact a chemical substance or product has on living organisms; it is generally a required testing component for product registration, regulatory purposes and third party labeling for product marketing. Many agencies like the Environmental Protection Agency (EPA), the European Union (EU), and REACH (Registration, Evaluation, Authorization and Restriction of Chemicals), regulate chemicals and environmentally acceptable products in the market and require test data on their ecotoxicological effects. Products that commonly undergo toxicology testing include lubricants, oils, fuels, detergents, pet care products, cleaning materials, and other product types that experience discharge, accidental spilling, or are fully intended to come into contact with the environment like personal care products. 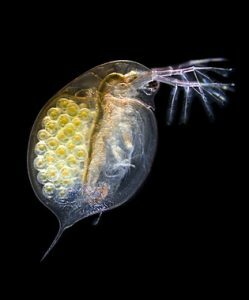 Chronic or Acute Toxicity can be measured and is commonly tested against algae, crustaceans, fish, oligochaete, daphnia and other small invertebrate aquatic organisms. Chronic Analysis typically consists of exposing organisms to a level of the material and then measuring the bioaccumulation of that material in the organisms over a specified exposure time. Acute Analysis typically is done by establishing the LD-50 concentration of the test compound to organisms. Environmental Fate testing evaluates how a substance will react in the environment once in contact with water or soil. Testing generally measures how a material transforms in water, soil, and other environmental conditions. It can also evaluate the bioaccumulation potential that a substance has in biota like Oligochaetes and Fish. Another commonly requested study analyzing a material’s Environmental Fate is Biodegradation Testing. For more information on Environmental Fate & Toxicology testing, contact the lab at 847-483-9950 or info@situtest.com.